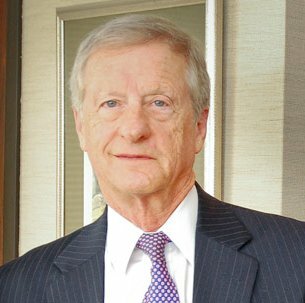 Recipient of the Martin J. Andrews Award for Lifetime Achievement in Fidelity and Surety Law. Legal Clerk, Legislative and Special Projects Section, Criminal Division, 1966-68. Assisted in the drafting of federal criminal legislation submitted by the Justice Department to Congress; Legal research; assisted in special criminal projects. Legal Assistant, Executive Office of U.S. Attorneys Office of the Deputy Attorney General. Editor, U.S. Attorneys Bulletin. Captain, Judge Advocate General Corps, United States Army, stationed at Fort Benning, Georgia. Defense counsel and prosecutor in military criminal trials. Chief Prosecutor (1972-73), Chief of Military Justice (1973). Associate, Deutsch, Kerrigan & Stiles. Member of the General Litigation Section, and my practice was devoted almost exclusively to construction and surety bond litigation in state, federal and Boards of Contract Appeals. Partner, Deutsch, Kerrigan & Stiles. Partner, Simon, Peragine, Smith & Redfearn, LLP and Head of Construction and Surety Litigation Department of firm. Editor, “Surety Law“, (Professional Education Systems 1984). Louisiana Construction Law and Mechanic’s Liens, (Professional Education Systems, 1987- 2017). Co-Author, “Miller Act Overview” (Defense Research Institute, 1987). Author, “Contractor’s and Surety’s Rights and Liabilities Upon Owner Insolvency: An Update on the ‘Pay when Paid’ Clauses“, The Construction Lawyer, Vol. 8, No. 3 (August 1988). Contributing Author “Discover of Dishonesty Under a Fidelity Bond“, (Defense Research Institute, 1989). Co-author, “Louisiana Construction Law Manual“, (Lawyers Cooperative Publishing, 1991). Contributing Author “Commercial Blanket Bond Annotated“, (Tort Insurance Practice Section, American Bar Association, 1991). Co-author, “Financial Guarantee Bonds: When Your Client Is Sued By An Unhappy Investor” (The Brief, Vol. 21, No. 2, Winter, 1992). Co-author of “The Law of Suretyship“, American Bar Association, Tort Insurance Practice Section (New York, Los Angeles, Chicago and Atlanta), 1993. Co-editor, “The Law of Payment Bonds“, American Bar Association, Tort Insurance Practice Section (San Francisco, California), 1998. Speaker, “Construction Litigation in Louisiana – Theories of Recovery“, Louisiana Association of Defense Counsel, February 16, 17, 1990. Co-author, “Liability Of Sureties Under CERCLA And RCRA“, (Defense Research Institute Annual Fidelity & Surety Meeting), May 10, 1991. Co-author “The Rights And Obligations of The Construction Surety Under Standard Form Arbitration Clauses“, (Defense Research Institute Annual Fidelity & Surety Meeting), May 10, 1991. Author, Proof of Dishonesty, American Bar Association National Institute On Fidelity Bonds, New York, N.Y., November 14-15, 1991. Speaker, “Update on Louisiana Construction and Surety Law“, Louisiana Association of General Contractors, Inc., Perdido Beach Resort, July 7, 1994. Speaker, “Bonding and Surety: Underwriting and Claims Problems in the 90’s – The Miller Act“, CFMA Construction Financial Management Association, New Orleans, Louisiana, May 7-10, 1995. Speaker and Moderator, “Mediation of the Construction Case“, The Associated General Contractors of America, Del Lago Resort, Montgomery, Texas, July 31-August 4, 1996. Speaker, “Construction Arbitration”, American Arbitration Association, National Forum on Conflict Resolution in the Construction Industry conference, Chicago, Illinois, November 13-14, 2003. Speaker, American Arbitration Association, Neutrals Conference, San Antonio, Texas, March 5-6, 2004. Speaker, ABA-TIPS/LSBA 2006 Katrina Program, Mediation – What is it? How Does It Work? New Orleans, Louisiana, May 6, 2006. Speaker, American Arbitration Association, The Construction Mediation Conference, What You Can’t Not Know, Is Mediation Vulnerable to Lawsuits? Analysis of Recent Litigation, Miami, Florida, March 30, 2007. Speaker, LSU Construction Law Seminar, Construction Defect Litigation Case, Mediation of the Multi-Party Construction Defect Case, Baton Rouge, Louisiana, September 21, 2007. Speaker, National Bond Claims Association, What Happened To My Mediation – Five Rules To Keep Your Mediation Out Of Court, Scottsdale, Arizona, October 10-12, 2007. Speaker, Louisiana Construction Law Seminar, How to “Win” Your Construction Mediation, Baton Rouge, Louisiana, September 24, 2010. Speaker, American Bar Association, Forum on the Construction Industry, Do You Think It’s Alright? Pushing the ADR Envelope – Getting Out of the Arbitration Weeds, New York, January 20, 2011. Board of Directors, Boy Town of Louisiana (2007-2016 ).